Advarra® is an independent institutional review board (IRB)/research ethics board (REB) that reviews clinical research involving human subjects. We help ensure subject rights and welfare are protected throughout the research process. 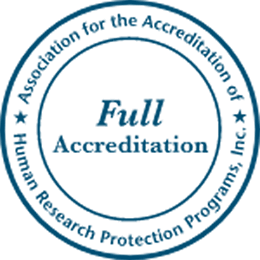 As part of our mission to ‘Apply the highest standards of ethics and research compliance for the advancement of human health,’ we partner with stakeholders throughout the research community to help improve the way researchers safeguard participants. Advarra staff members are available to answer any questions you may have about your rights as a research subject and/or concerns or complaints regarding the research study. Advarra believes in the importance of providing study participants and advocacy groups with the best information available to help them decide if a clinical study is right for them or their members. Advarra assists clients worldwide in helping participants understand clinical research and more securely access and share information. For more information about clinical research trials and participation, visit the FAQs page. Advarra is committed to serve as a beacon of ethical guidance for the research community. Advarra partners with pharmaceutical development companies, academic medical systems and other research organizations.